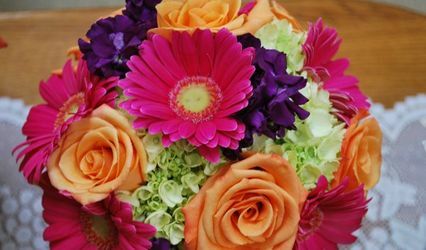 Perfect Petals Florist & Decor, LLC. 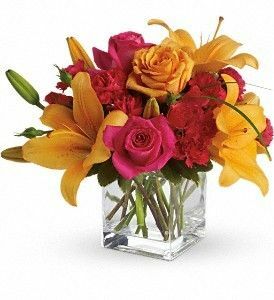 is locatated in Rising Sun and North East, MD and proudly serves all of Cecil County and Nottingham and Oxford PA.. We are family owned and operated and committed to offering only the finest fresh and silk floral arrangements,backed by service that is friendly and prompt. Because all of our customers are important, our professional staff is dedicated to making your experience a pleasant one. That is why we always go the extra mile to make your floral arrangement's perfect for your wedding. Dorothy consulted with us back in April 2015 for our 10/3/2015 wedding in Havre de Grace! She was our first and only consult! After my MIL and I met with her we knew that we didn't need to go anywhere else and immediately put down a deposit as soon as our proposal was finished! Her vision of how our flowers would be, based on flowers I picked, sounded amazing! At the last minute (3 days before our wedding) I decided I wanted real flowers as my cake topper, I called and spoke with Dorothy and Brooke and they said not to worry, they would have flowers matching my bouquet available for my cake the very next day! 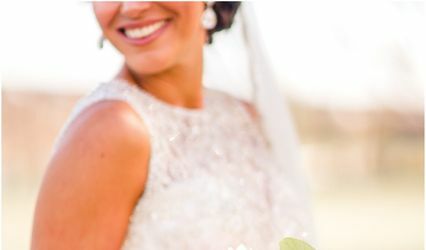 They delivered the flowers the day of the wedding and they were BREATHTAKING! 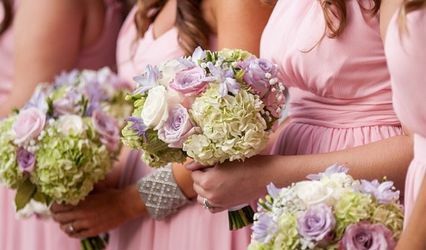 These were some of the most gorgeous bouquets I have ever seen! Brooke and Dorothy were both so wonderful to coordinate our floral for our wedding and we will definitely use them in the future for any floral needs! Price and quality is wonderful! Teresa was very helpful. I gave her a picture of what I wanted and she made it happen. There was also an incident where our arbor was forgotten by someone else, not her, and she raced right back to her shop and got me one of hers. And then still had it decorated and ready to go before my guests arrived. I actually didn't even hear about it until after the night was over! Overall Mary is easy to work with however two of the boutineers looked pretty flat (they were well past bloom), one coursage fell apart and another one had a needle sticking through it. The bouquets were lovely though. So just make sure they're delivered to someone who is thorough.